If you want to establish your social network, you can use the Find people page to find people to connect to. An alphabetical list of all users in your institution(s) or on the entire system is provided. 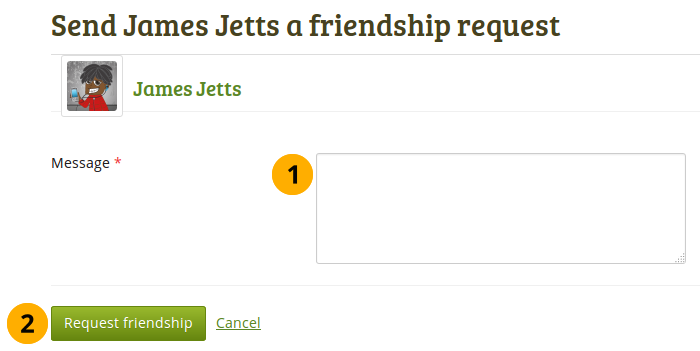 Prior to Mahara 17.04, this page was called “Find friends”. 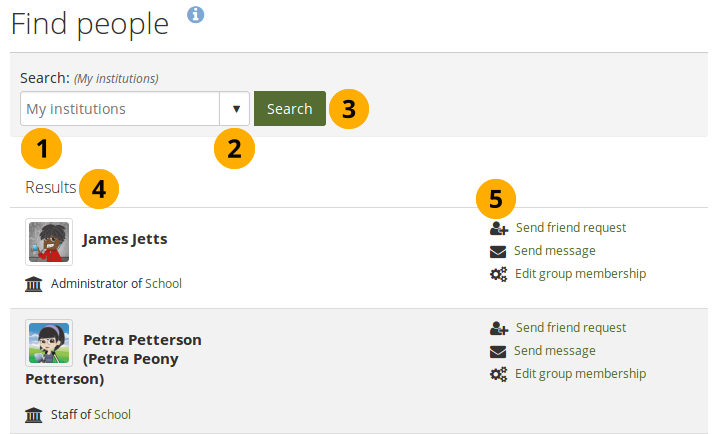 It was renamed because you do not only use this page to connect to new friends, but also to search for people on Mahara whose profile page you want to view or for whom you want to check if you have access to any of their portfolios. The changed name to “Find people” reflects this more. Use the search box to search for a name of a user. If you are a member of one institution or more, your search results are limited to people from your institution(s). Choose the option “Everyone” to search for any user on the system. All results are listed. You can click on the name to view that person’s profile page. You also see if a person is already a friend of yours. Send this person a friend request. Send this person a message without requesting friendship. 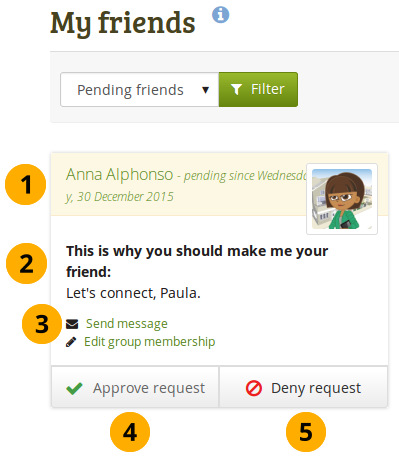 Edit this person’s group membership for a group in which you are an administrator. 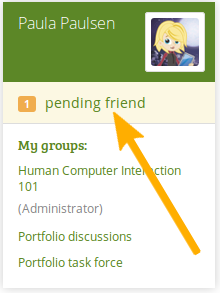 You can send a friend request from the Find people page by clicking on the Send friend request link next to the user you want to be friends with.